Whoever said “Things are better at the beach” was right! Come on down to the Lincoln City Farmer’s and Crafter’s Market. 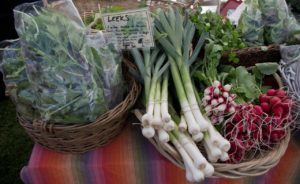 We are a showcase for local produce growers, farmers, bakers, wineries, creameries, artisan foods and one of a kind expertly handcrafted items. Our farmer’s offer distinct high quality produce, meat, cheese, honey, eggs, organic humus and dips, beautiful healthy plants and so much more. Our Market Food Court offers a wide variety of hot and cold food options, beverages and baked delicacies. Enjoy live music and entertainment for kids that includes a magic show twice a day by Max! Special events to entertain the entire family! We have on site parking with good access for walkers, wheelchairs and strollers. Handicapped parking available and we have hard working, friendly, parking attendants who are there to help. We welcome your pets into the Market but please remember that they are required to be on a leash at all times. 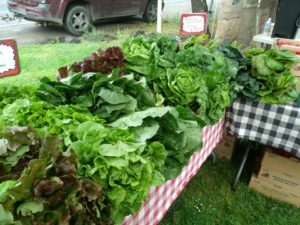 We have 65 independent vendors with something for everyone so come on out to the Central Oregon coast and make our Market your point of destination! Shopping local supports our artisans and farmers and helps our community grow.